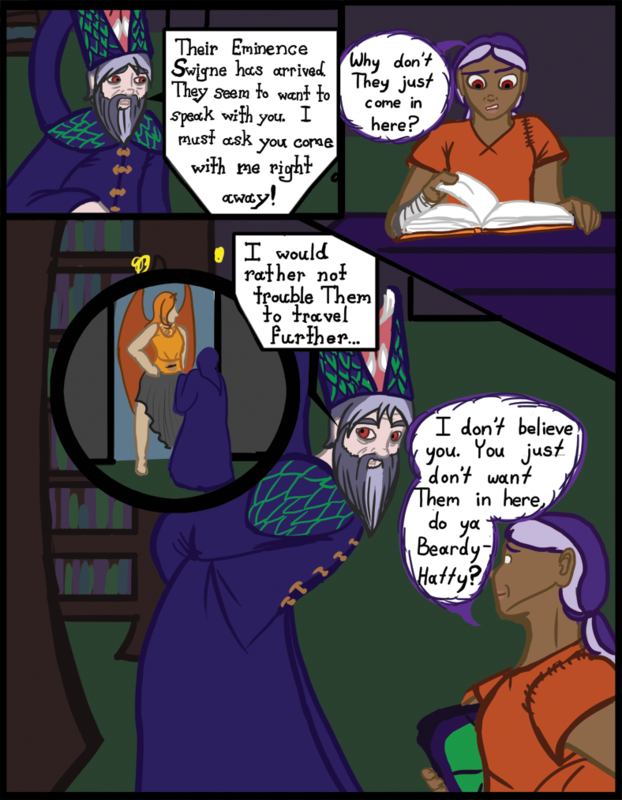 Chapter 03- Answers - "Chapter 3 Page 17"
Beardy-Hatty: Their Eminence Swigne has arrived. They seem to want to speak with you. I must ask you to come with me right away! Wynn: Why don’t They just come in here? Wynn: I don’t believe you. You just don’t want Them in here, do ya Beardy-Hatty?